Check out Tobi's Tasha Faux Leather Combat Boots Where you off to, babe? 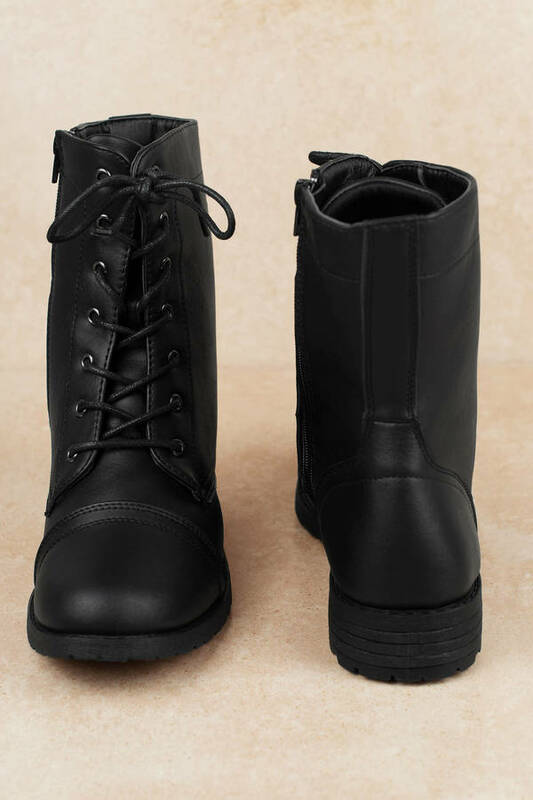 Wherever you go, wear the Tasha Black Faux Leather Combat Boots to finish off every 'fit. 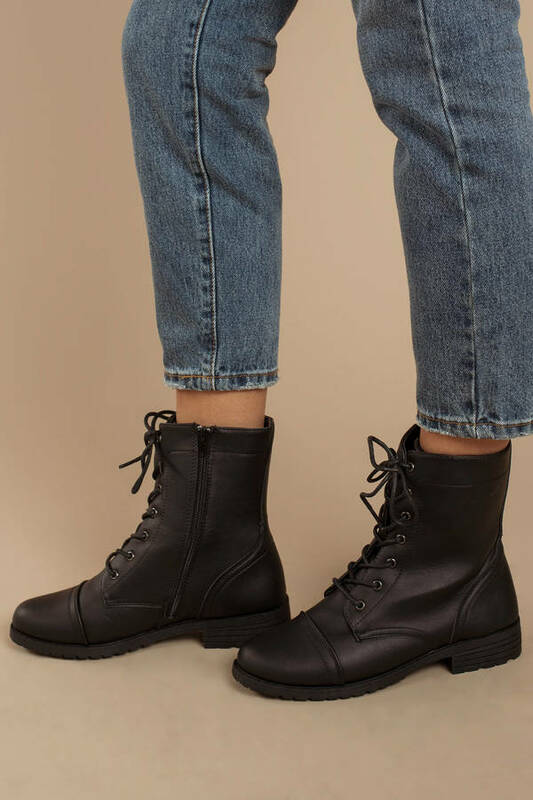 These cute combat boots feature lace up detail, round toe, short stacked heel, and side zipper for easy wear. Pair these heeled work boots with your favorite sundress or ripped denim. Where you off to, babe? 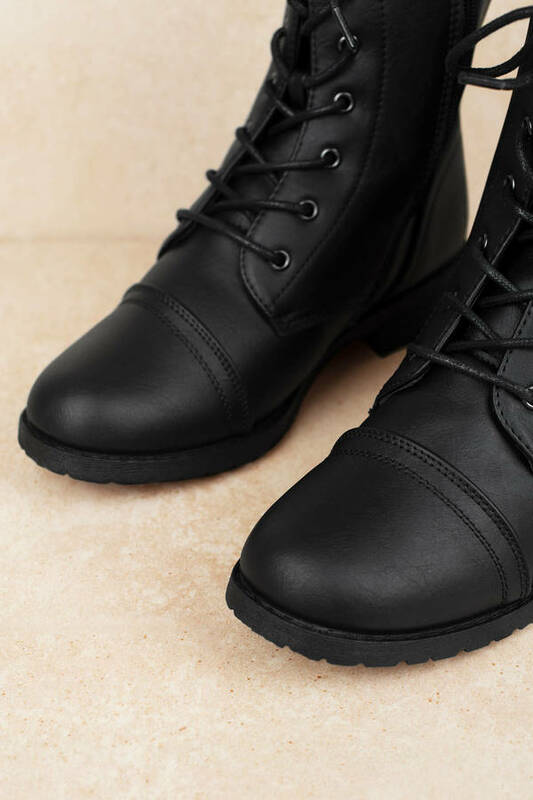 Wherever you go, wear the Tasha Black Faux Leather Combat Boots to finish off every 'fit. 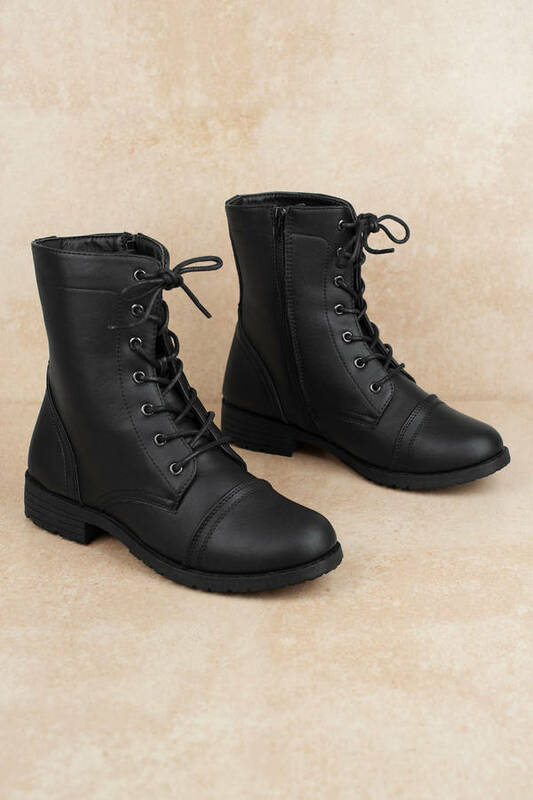 These cute combat boots feature lace up detail, round toe, short stacked heel, and side zipper for easy wear. Pair these heeled work boots with your favorite sundress or ripped denim.